Please contact the Rev. Cn. Sandy Graham with questions regarding Licensed Ministries. Requirements for licensing are outlined by the Commission on Ministry and then forwarded to Bishop Fitzpatrick for approval. Currently, the ministries of Eucharistic Minister, Eucharistic Visitor, Lay Preacher, Worship Leader, and Catechist are being licensed. Licenses are issued by the Bishop. Licenses expire the third year and are renewed on the First Sunday of Advent. Currently, any Deacon or Priest in a congregation may train the Eucharistic Ministers in that congregation. A diocesan curriculum is available (contact the Rev. Cn. Sandy Graham). Worship Leaders are to be trained by a Diocesan-approved trainer. All applications for licensing should be submitted using one of the forms on this page. An application for licensing is not complete until the clergy in charge of the congregation, or the Senior/Bishop's Warden in absence of a clergy person, also signs the form, verifying that the layperson has completed the necessary discernment and training required for licensing. 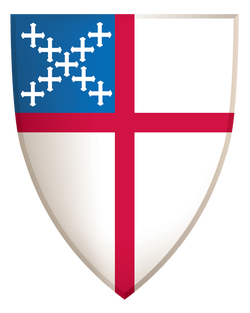 The Licensed Ministries in an Episcopal church are defined by the Canons of the Episcopal Church in Title III, Canon 4. They are defined below, in the order in which they appear in the Canons. Note that any of the licensed ministries, including that of Eucharistic Minister and Eucharistic Visitor, serve at the invitation and/or approval of the clergy in charge of the congregation. In the absence of a clergy in charge, the Senior Warden/Bishop's Warden endorses the applicants for licensed ministries.